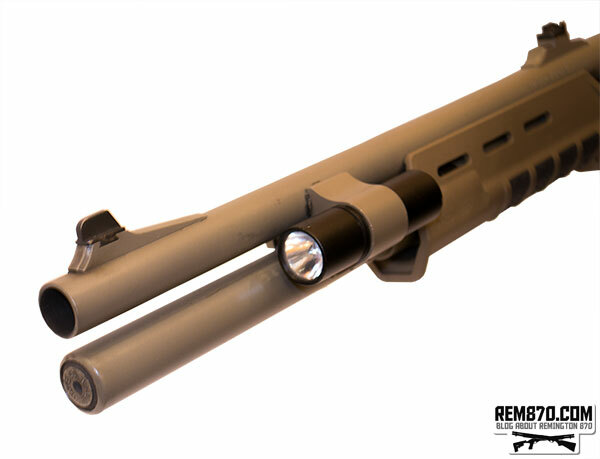 One of the best flashlight for the Remington 870 and Mossberg 500 shotguns is the Surefire Forend Light. This is one of the more expensive flashlights for the Remington 870, but it is also one of the best and most reliable on the market. It is a compact light that integrated to the forend of your shotgun rather than to the side of the shotgun. Some shooters like their light coming from the bottom of their shotgun because it makes the shining light align with the front sight that helps you aim. 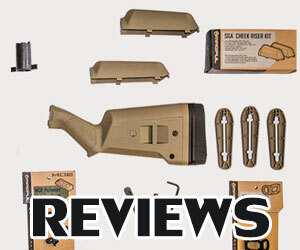 The Surefire Forend Light retails for roughly $225, but some are more depending on the amount of accessories that come with it. Either way, adding any kind of light source to your Remington 870 or Mossberg 500 shotgun will be beneficial to you in the long run. The great thing about tactical flashlights is they emit a very bright LED white light that can lighten up virtually any dark environment. The brightness levels on these lights range from 80 lumens to about 200 and more lumens. This makes them perfect for law enforcement and military officers who depend on being able to see clearly while on dangerous missions. Often times, the police have to raid buildings that are dimly lit or have no lighting at all. The only way they’re going to be able to see is if they have tactical flashlights attached to their rifles or shotguns which can brighten up the entire environment. 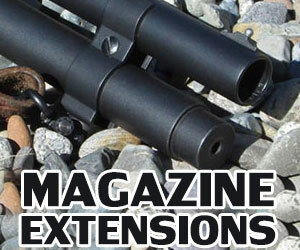 There are many other shotgun flashlight clamps which you can use. Some are made of plastic like the Elzetta flashlight clamp some of made of aluminum like CDM Gear MOD-C Clamp. 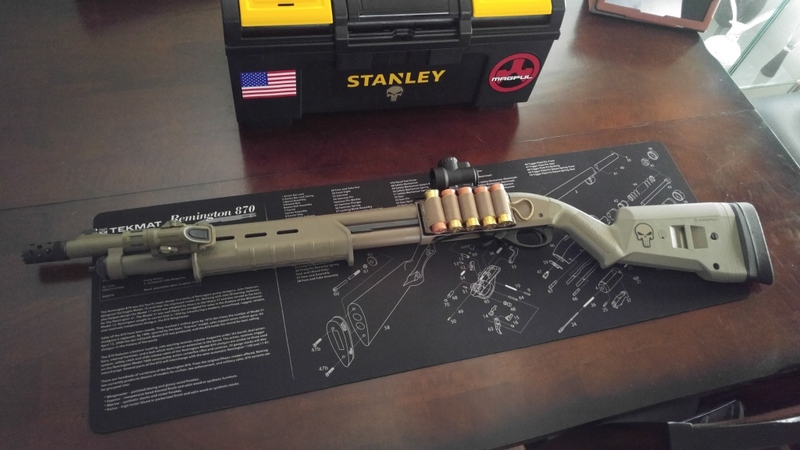 So, what was the main problem with flashlight clamps on a night shotgun training? They were moving under recoil or even falling off. Scratches on a magazine tube and a barrel weren’t the biggest problems. The biggest problem is that you cannot be 100% sure in such flashlight holders. You need something rock solid you can rely on. That is why I really liked how my Remington 870 with CDM Gear MOD-C clamp was functioning. No movement under recoil, no scratches because 3M polyuerathane pads were attached to the clamp. Such pads are included and not only protect finish but also eliminate any movement. Many shotgun owners choose Streamlight TLR-1 or TLR-2 flashlight. It can be easily attached to many rails using integrated mounting system. It is compact, light weight and easy to use. This flashlight has several modes: momentary, steady and strobe. Powered by two CR123A batteries. 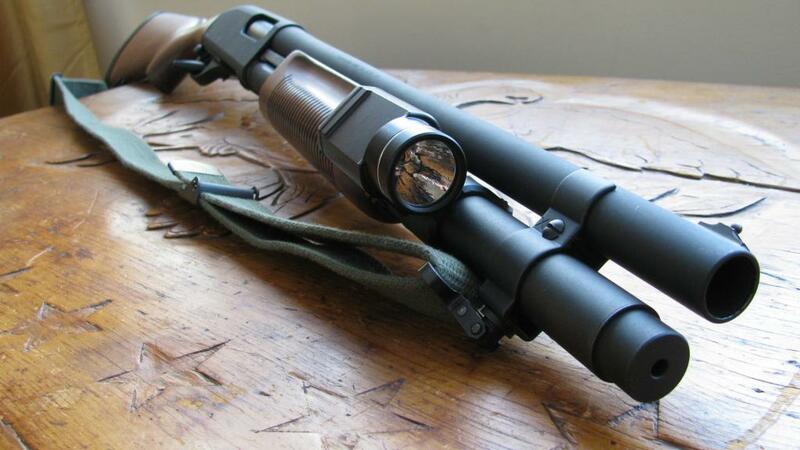 Flashlight mounts basically clamp to the side of your shotgun’s barrel with a Picatinny rail. 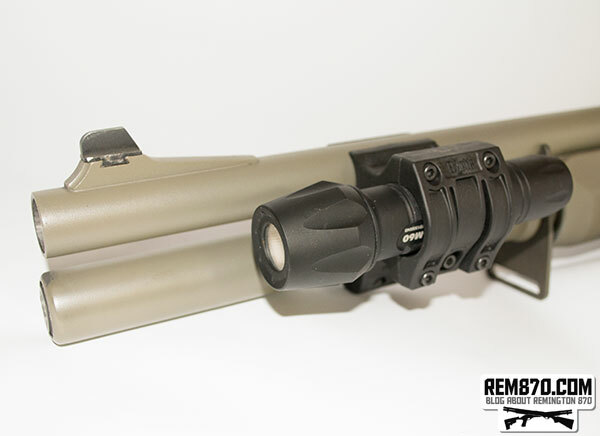 Some of the very sophisticated flashlight mounts, such as the Streamlight TLR-2 CR, contain LED lighting and laser sight technology all in one. That way you can identify your target more clearly and get a precise aim at the same time. It has ambidextrous momentary/constant switch which is very convenient to use with just one finger of the weak hand. Switch allows you choose one of the three modes: flashlight only, laser and flashlight, laser only. As for prices, it all depends on what features come with the flashlight. 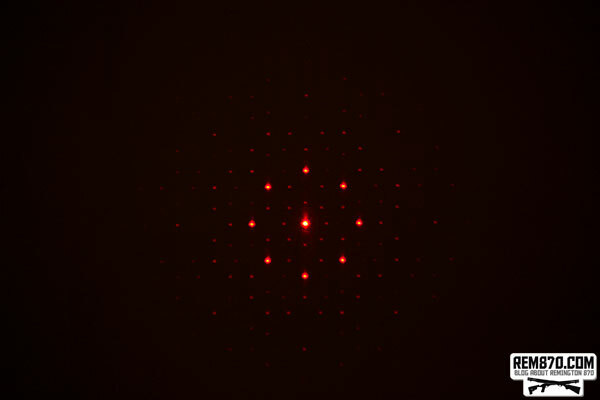 If it doesn’t have a laser and is just the light and mount then it will cost roughly $125. If it has a laser then it will cost anywhere in the $250 range. Choose whatever suits your needs and budget. 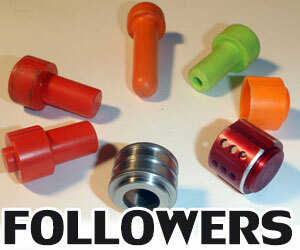 Elzetta is well known manufacturer of flashlights and flashlight mounts for shotguns and rifles. 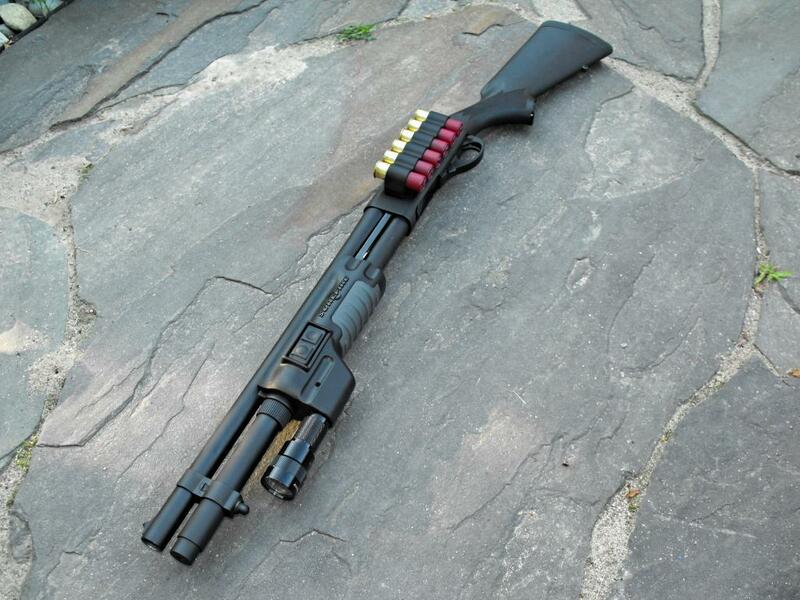 ZSM Elzetta Tactical Shotgun Mount can be mounted on Remington and Mossberg shotguns thanks to spacers. Mount is made of plastic which means that it may be not as sturdy as metal mounts but it won’t scratch barrel and magazine extension. The mount is low profile and light-weight. But it is not as low profile as CDM Gear clamp. 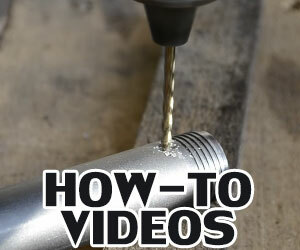 Installation is very easy and simple, the mount attaches to the barrel and magazine tube. You can attach flashlight to your flashlight in just 5 minutes. Flashlight mount reliably holds flashlight in place under recoil. 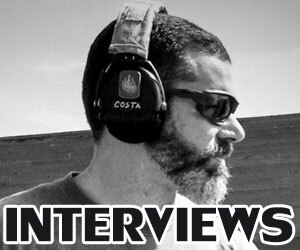 I have tested it using many different types of rounds including buckshot and slugs. ZSM Elzetta Tactical Flashlight is powerful (235-Lumen) and reliable. ZSM Elzetta Tactical Flashlight is made of metal, it sturdy and waterproof. You can choose 2-battery or 3-battery version, different lenses, heads (low profile, crenellated), tailcaps (strobe, rotary etc.) and even with custom laser engraving. Elzetta tactical flashlight and mount withstand heavy 12 gauge recoil. Tested on birdshot, buckshot and slugs. 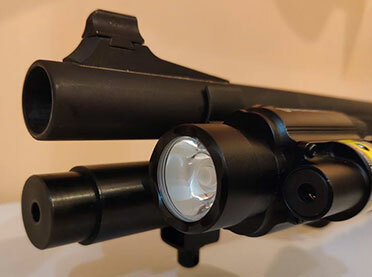 Elzetta flashlight and mount are very good choice for tactical shotgun.